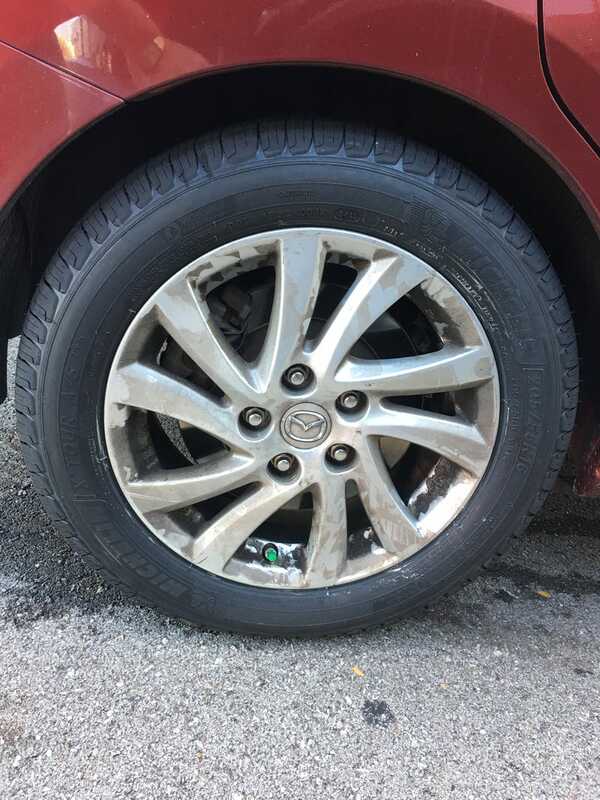 Just got a new set of tires today, and the rotation and handling of my wheels have disturbed the once even coating of grime. It’s just been too hot or I’ve been too ill to wash the car despite my best intentions. Unfortunately one of the TPMS sensors was bad, so there was another $43 I didn’t plan for. The warning came on the first cold day of the year and I expected it to go away as things heated back up, but I guess there was more to the problem than that.